So they are adding a short third building? It was terrible before, but now it just looks like it belongs in NYCC. Try again. Yes, from terrible to yawn in on easy step. My god they didn't even try!! This building doesn't belong in Yorkville!! Possibly the worst new proposal, especially the worst considering its context/location, of all the projects underway in Toronto today...the original aA proposal was light years ahead of this junk..
here's the rest of the article: sounds like there will be NIMBY resistance.. 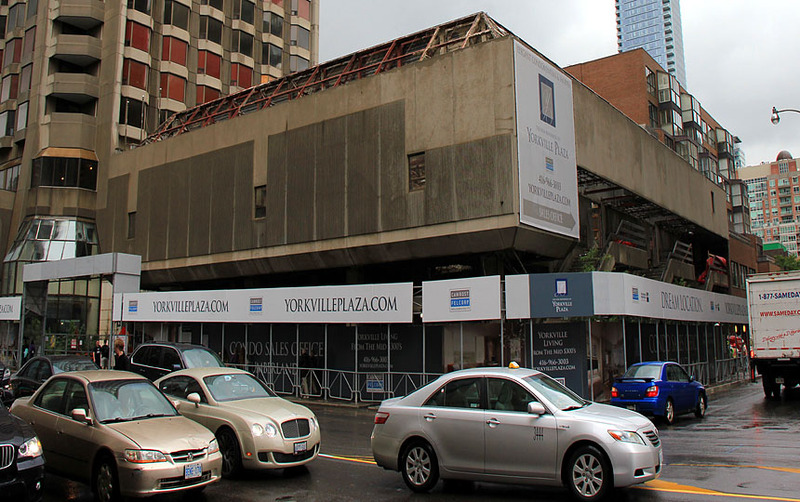 The Four Seasons Hotel in Yorkville is going to be demolished to make way for a pair of skyscraping condominium towers whose proposed height already has city planners and some nearby residents on edge. 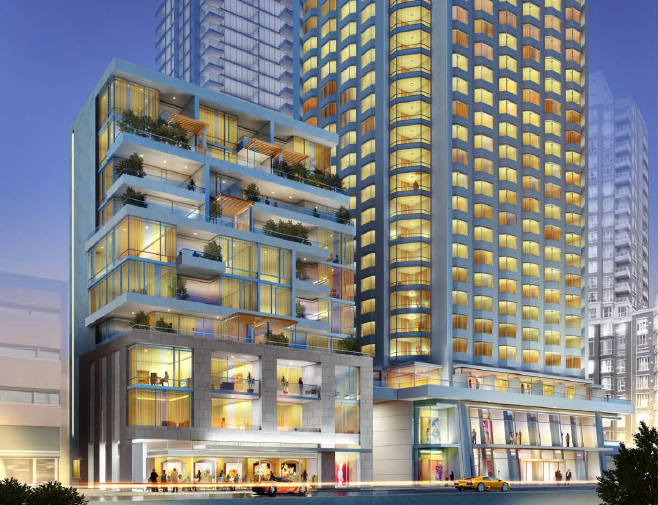 Menkes Development Ltd. has applied to erect two luxury 48-storey and 58-storey towers with as much as 65,000 square feet of retail space on the Four Seasons’ site at 21 Avenue Rd. The current 31-storey hotel and the desirable land on which it sits are due to be vacated early next decade when the Four Seasons moves to its new flagship location at Bay Street and Yorkville Avenue. The 21 Avenue application, filed Dec. 21, is important because it ramps up an ongoing tug-of-war over the future of Yorkville and the nearby Annex neighbourhood, two enclaves that boast some of the most expensive real estate in Canada. But even those who acknowledge Yorkville needs to lure more high-density residential buildings fear that a 58-storey tower — which could be more than twice the height of the current hotel — is simply too tall. Like Mr. Rae, city planners, the Annex Residents’ Association and Councillor Adam Vaughan, whose ward begins on the west side of Avenue Road, all fear the proposed condos could cast too long a shadow into the abutting residential neighbourhood. Mr. Vaughan also worries the towers could sully the silhouette of Queen’s Park. 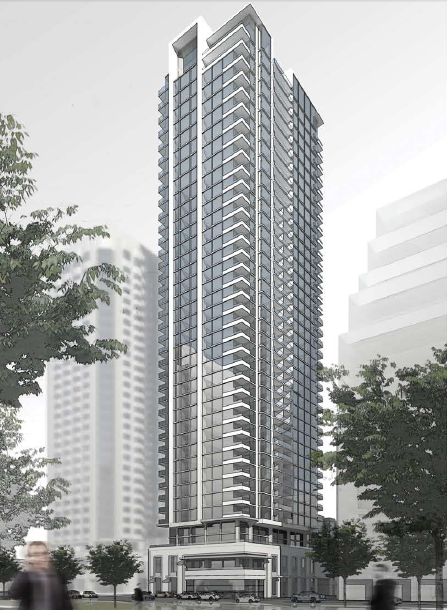 Paul Bain, the acting manager for midtown in the city’s planning department, said that at least at the preliminary stage, the proposal would be rejected because of the height. But Alan Menkes, the president of Menkes Development Ltd., said it is too premature to discuss ratcheting down the height. He believes the project, which was designed by top architect Peter Clewes and includes a new public park, is an excellent fit for the area. “The buildings that we’ve designed are light, slender point towers to really minimize the shadow impacts and maintain the view corridors as much as we possibly can,” Mr. Menkes said. 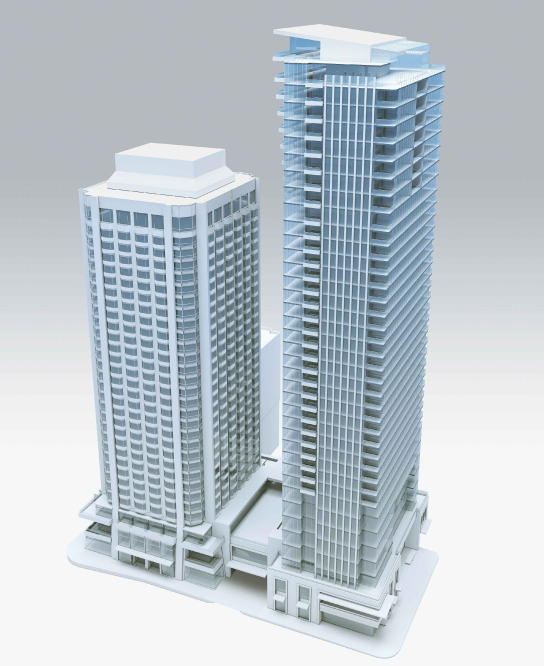 The proposal envisions 176 units in the 48-storey north tower and 216 units in the 58-storey south tower. The one and two-bedroom condominiums would range in size from 1,500 to 5,000 square-feet, Mr. Menkes said. 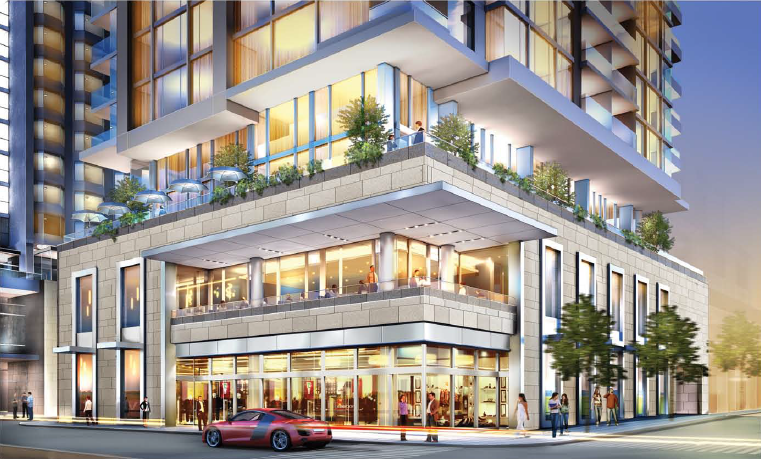 The plan also calls for a three-storey retail “podium” that would sit at street level on Avenue Road and wrap around Yorkville Avenue and Cumberland Street. With Bloor Street West, Canada’s answer to New York City’s Fifth Avenue, immediately to the south, Mr. Menkes expects to attract one or two high-end retailers to the space. As far as concerns about the height, Mr. Menkes said he is prepared to begin consulting with his future neighbours. Mimi Fullerton, the vice-chairwoman of the Annex Residents’ Association, said her group is also prepared to talk. But she warns the 21 Avenue proposal cannot be considered in isolation; it needs to be looked at as a potential precedent for the area. The original proposal for this site was to be done by aA but it was deemed to be too tall. Apparently now that the developer has to go shorter, in order to make up their margins they've gone with a cheaper design by a third rate architect. That rendering is surely a wind-up. It's official: nothing is sacred in this city anymore. As Ontario Premier Dalton McGuinty resigns, then the shadow over Queens Park will be OK to build a tall tower in Yorkville Plaza.